Click on the CD cover above to get your copy of Morning. Ken May, also known on the Internet and elsewhere as Ken May 139, is a musician, songwriter, poet, author, artist, and philosopher who was born in Pikeville, Kentucky, and grew up in the Columbus, Ohio area. During the sixties, seventies, and eighties, Ken performed, recorded, and toured with many different artists and bands, including his brother Mark May, a very well-known blues-rock singer/songwriter/guitarist. Ken May moved to Texas in the early eighties and has lived in League City, Texas since 1987, where he works on artistic, educational, and entertainment projects. Ken's most important accomplishment is writing and publishing the self-help book THINK SOMETHING BETTER, which explains a completely new way of understanding and living life. At the end of summer 2015, Ken May 139 will be publishing his new book, GUYS WITH GUNS, a hard-hitting political exposé. 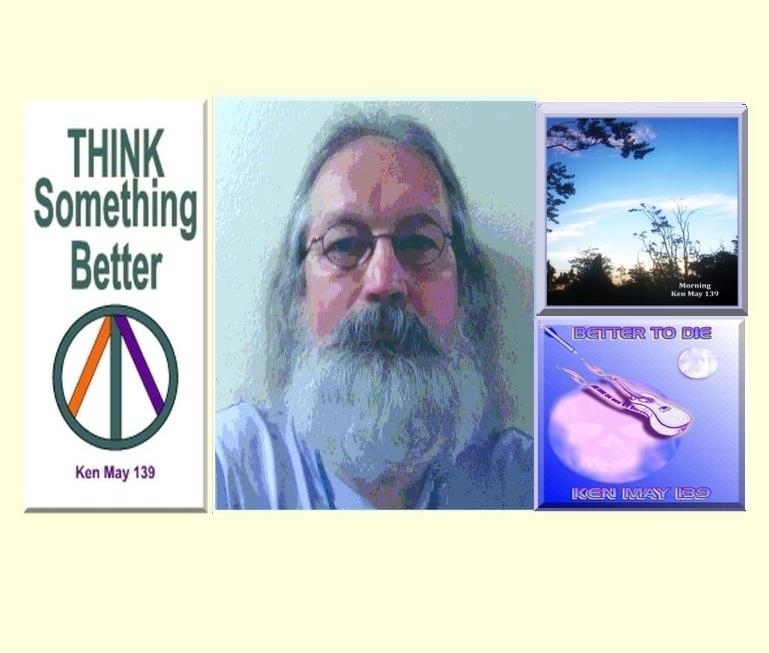 World of Love,, a 15-song album of original instrumental music by Ken May 139. Another unique collection of tunes simultaneously invigorating, relaxing, and therapeutic. 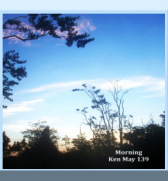 Morning, a 16-song album of original instrumental music by Ken May 139 that is simultaneously invigorating, relaxing, and therapeutic. Better To Die, an album of 13 original songs that celebrate individual liberty and expose the conspiracy that seeks to enslave all humanity. Click here to email Ken May!